If you have decided to purchase a buy to let property and become a landlord, here is some information on where to start and how to maximise the potential returns on your property investment. It may sound obvious, but it’s essential you do your homework and thoroughly research the market, from potential locations, to your target market, to the kind of properties you think might offer you the best return for your money. Visit the local estate agents to discuss the rental hotspots in the area, where the demand is coming from and the kind of properties that are easily let out to tenants. Search for different types of property to rent in particular areas on RightMove and see what the market rates are and how they compare with other properties in other locations. This should help you understand the potential return on the kind of investment you plan to make and where best to search for a property to buy. The location is critical in determining the success of your buy to let property. Consider the proximity to the local amenities, such as schools, transport links, shopping centres, restaurants and parks. Are these amenities important to the tenants you hope to attract? If you identify young professionals as your target market, they are likely to be interested in being close to the local tube or train station and this may influence their decision to rent certain properties. Get it wrong and your property could lie empty for long periods and present a potentially precarious situation financially. Identifying your target market will help you decide the kind of property you should be buying and the locations you should consider. Are they families, students, young professionals or corporate tenants? Identify where the demand is coming from and understand if that demand is being realised in the current market. You may find that there is a significant opportunity in the market to attract a certain type of tenant to a property in your area. Again, check with estate agents who understand the local market and may already have a database of potential tenants who are looking for property to rent in the area. What kind of property is best? A house, flat, cottage, bungalow or studio apartment? New build or re-sale? Much will depend on your target market and your budget. But once you have a firm idea of who you’re looking to attract, you need to invest in the kind of property most suited to these tenants. If you identify young families as your target market, then you may need to invest in a two or three bedroom house with a garden, close to the local schools. Whatever your target market might be, make sure the property you buy is equipped with the features expected by this audience. Bear in mind that older period properties, although attractive, may be higher maintenance than newer properties. It all depends on the local market – if period properties to rent are in high demand in the area, it may be worthwhile putting up with the extra work if it means the property will be continually occupied. Thoroughly prepare the property for letting. Smarten up the interior and exterior of the property to meet tenant expectations and to maximise the potential rental price. Make sure that the property and furniture meet the required safety standards. Be aware of tenant and landlord rights. Notify the relevant parties of your intention to let the property, such as the mortgage company (if required) and the freeholder (if you have one). Once you’ve secured the right property in the most appropriate location, it’s time to find your tenants. You should never underestimate the work involved in attracting the right tenants and achieving the right price. 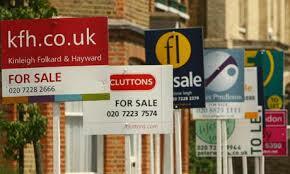 The vast majority of landlords, particularly first time landlords, instruct a dedicated and qualified letting agent. This cuts out all of the necessary awkwardness of having to deal directly with viewings and negotiating with potential tenants. Advertise your property efficiently to thousands of potential tenants looking for property to rent in the area (make sure you choose an agent which lists its properties on a major portal, like RightMove). Negotiate with tenants on your behalf when discussing the rental price of the property. Provide advice and guidance throughout the process. Vet potential tenants by sourcing references from previous landlords, conducting credit checks and obtaining bank details. Organise tenancy agreements and inventories. Manage the start and end to the tenancy based on your instructions. Organise the collection of rent from the tenants, transfer the funds to you and arrange for repairs during the tenancy. Inspect the property every quarter on your behalf for its condition and state. Provide professional advice and guidance throughout the tenancy period. For an additional fee, some letting agents will also vet potential tenants and organise the inventory and tenancy agreement on your behalf. Make sure you understand what you are paying for when you instruct a letting agent and what you will get in return. After you’ve found suitable tenants for your property, you have the option of either managing the let yourself (called rent collection service only), or hiring the services of a managing agent to work on your behalf (called fully managed). You can also take on rental income and legal expenses protection insurance cover, which covers you should the tenant go into arrears. You should talk to either the letting agent or your insurance provider about this sort of insurance policy. Whichever way you look at it, a buy to let investment should be a long term one. Make sure you have enough money put away to cope with any unforeseen repairs and maintenance costs that arise. You should also have funds in store to cover mortgage repayments throughout any periods where the property is empty. With appropriate financial planning, you should be able to weather the storm of short-term fluctuations in the property market and increase your chances of making your venture successful in the long term. So, with the right choice of property, in the right location and with the very best available advice, a future in buy to let can be extremely rewarding.